Your private driver will meet you at your ship to begin your scenic 90-minute ride through the Tuscan countryside to Florence, the birthplace of the Renaissance. Meet your guide and head to Piazzale Michelangelo for a stunning panorama of the city. 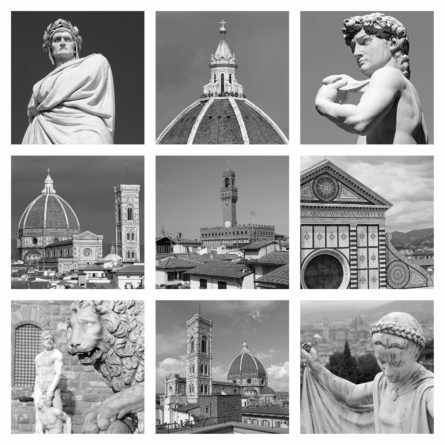 During your Florence shore excursion, explore the legendary city’s center – the Piazza della Signoria with its 13th century Palazzo Vecchio, and Piazza del Duomo, dominated by Brunelleschi’s pink, white and green marble Duomo. Then bypass long lines with a prearranged pass to admire Michelangelo’s famous statue of David. After a lunch at a local restaurant, walk along the Arno River and cross the fabled Ponte Vecchio where many of city’s high quality jewelers have been selling their sparkling creations since the 1500s. Finish the tour with a visit to Santa Croce, the burial site of Michelangelo and Galileo, followed by a bit of free time to shop and wander before your driver returns you to your ship.